Home > Xbox One > Final Fantasy XV Pocket Edition HD is now on console, gogo! Final Fantasy XV Pocket Edition HD is now on console, gogo! 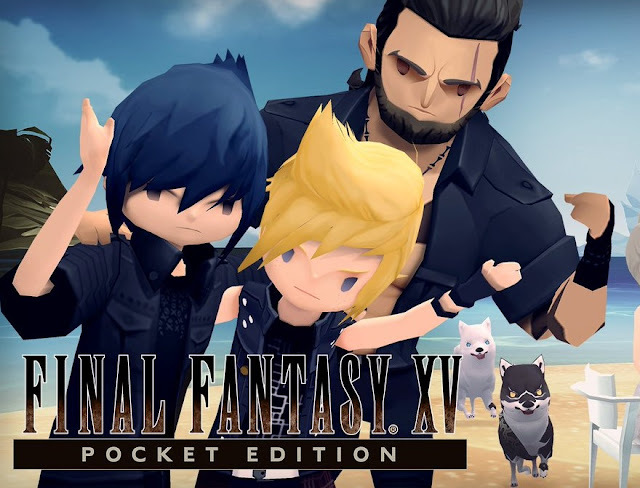 Final Fantasy XV, the paired down (and much cuter) version of Final Fantasy XV that was released for mobile devices a while ago is now on console, and in HD. Which is a bit weird on PlayStation 4 and Xbox One, since those consoles already have the original Final Fantasy XV, but it's on Switch too! The Switch finally has a Final Fantasy! Having not actually played the game on iOS, I'm quite keen to see what, exactly, has been done to this version. The visual style is so much nicer than the realism of the base game, and the action looks nice and clean. Sadly, at time of writing the Switch version is still "scheduled soon," so I'd expect it within a day or so, but if you'd prefer to play on PS4 or Xbox One, you can have at it right now.